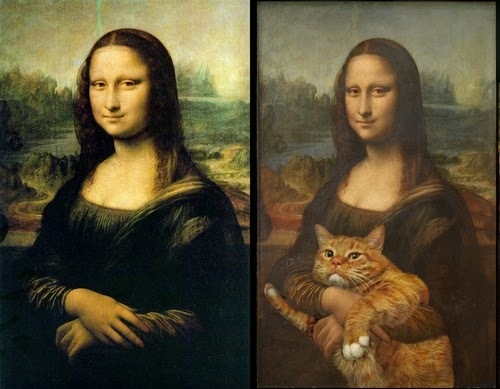 A Cat site that has a different prospective on Old Masters from all ages, starting with ancient Greece and ending with 21st Century art. 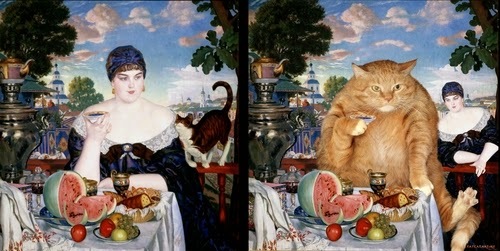 As well as art the site Fatcatart is now beginning to deal with important news as well. "Leonardo Da Vinci - Mona Lisa". Édouard Manet - Bar At Folies Bergère. Salvador Dali - The Persistence Of Memory. Sandro Botticelli - The-Birth Of Venus. Diego Velázquez - Equestrian Portrait Of Philip IV Fatcatart. Adriaen Van Utrecht - Still Life. Boris Kustodiev - Merchants Wife At Tea. Rembrandt Harmenszoon Van Rijn - The Night Watch. 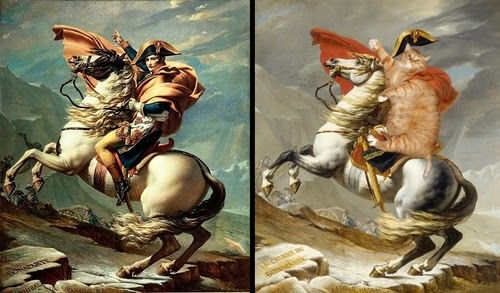 Jacques Louis David - Napoleon Crossing The Alps.